She started fighting fires right out of high school. Digging line, packing a 40-pound bag of water over rough terrain, sometimes working all day and night — for Jennifer Bammert, it was about giving the fight all you got. DNR promoted Bammert to crew supervisor, where she acted as incident commander, instructing firefighters and making decisions on suppression. In her 14th season, during a large fire response, she directed 30 firefighters and was the only woman. All while keeping a baby-sitter on call for her son. For her then fellow part-time firefighters at DNR — like Laurie Cox and Vicki Christiansen — it’s a similar story. They quickly gained respect for their grit on the fireline and love of protecting our forests. Firefighter Laurie Cox getting ready to work on the fire line. Cox went on to be a forester, who now oversees the Family Forest Fish Passage Program, and she’s an organizer of the largest wildland fire training program in the state. This is now Bammert’s 39th fire season. She is still with DNR working hard, trying her best and newly promoted to Fire Suppression Program Manager. Christiansen served as Washington State Forester for years before becoming the U.S. Forest Service Chief. These are just a few of the amazing women literally blazing trails for the last 40 years to make a clearer path for the next generation of firefighters. As the second woman elected Commissioner of Public Lands, Hilary Franz strongly believes in further expanding the diversity of DNR’s wildfire team, the largest firefighting team in the state. “Women are absolutely critical on the fire line for lots of reasons,” Franz said. In the last year, more women applied to be a DNR wildland firefighter than in 2018, but women still only make up 14 percent of DNR’s wildland fire team. Franz recently talked with women currently serving on the fire line to hear how we can make our firefighting space more welcoming and inclusive. DNR firefighter Celeste Winther and Franz discussed the multitude of jobs that come with wildland fire, and that people should know that you don’t have to hold an actual tool to be a firefighter. Celeste Winther stands next to an engine, talking with DNR about her fire experience. Hannah Blackstock shared that she was a little intimidated to apply for a firefighter position, but last year she found herself out on the fireline in White Pass — riding in an ATV up a ski slope to set up a radio repeater for emergency communications. The views at the top were unreal, an experience you only get when working in wildfire. Apply for our wildfire team here. For the first time, large-scale solar power generation is coming to Washington’s public lands. Commissioner of Public Lands Hilary Franz announced Wednesday that the Washington State Department of Natural Resources is entering into an agreement with a utility company to lease 480 acres of state trust lands in Klickitat County as part of a 150-megawatt solar power project. Portland-based Avangrid Renewables agreed to a 40-year lease for the property, near the town of Bickleton, and expects to start transmitting power late next year. But the site will be generating more than electricity – it will also bring in $120,000 each year for schools across the state. Solar power may be new to DNR, but the department already has an expansive clean energy program anchored by wind energy. Each year, turbines on state trust land generate 200 megawatts of power and raise $1.2 million for school construction and other public services. The Bickleton lease is not a one-off project – DNR has two other parcels in Eastern Washington that are currently up for lease for solar power generation, and more than a dozen companies have expressed interest in using upwards of 30 tracts of state land to create solar power. The Klickitat County parcel is currently being used as grazing land for livestock, generating $2 per acre per year. But Avangrid will instead be leasing the land it uses for power generation for $300 a year. A map of the parcel in Klickitat County that DNR is leasing for the generation of solar power. If the land were leased solely for grazing rights at the $2 price for the next 40 years, it would generate $38,400 for the Common School Trust, which is used to help fund school construction across the state. Once Avangrid begins generating power at the site, DNR will make that same figure over four months. In the 40-year span of the lease, the property will instead generate about $4.8 million for the trust. Follow the outdoor burning rules before lighting any fire. Keep in mind that the major human cause of wildfires in Washington is outdoor burning. These escaped wildfires are investigated and, if you are found guilty, you can be fined. If burning is allowed in your area, the only material that can be burned is natural vegetation grown on the property where the burning occurs. Also, remember to be careful that smoke is not a nuisance to your neighbors. Please know the rules before starting any outdoor burning. It also is illegal to use burn barrels in Washington. DNR wants to encourage a variety of ways to rid your yard of waste instead of burning it. Since you run the risk of an escaped fire when burning (not to mention smoke pollution), why not consider different ways to do away with that yard waste. Compost it – It’s a practical and convenient approach for disposing of yard waste. Any vegetable matter can be composted. Organic material, such as fallen leaves, grass clippings, weeds, and the remains of garden plants, make excellent compost. Chip it – Turn large branches and debris into mulch. If you don’t already own a chipper, check with your local equipment rental agency. Invite your neighbors to join in to make it more cost efficient for everyone. Take it to the landfill. We talk about fire prevention every day at DNR, so when it’s time for you to clean up your property from yard waste, please consider an alternative to burning. If you need to burn, please follow the rules! Want to help fight fires and protect communities across Washington? In advance of fire season, DNR is reaching out to local communities to help people understand how to provide fire suppression resources to wildland firefighting efforts. If you are interested in joining the qualified, trained, and available equipment operators who help DNR during wildfire season, check out our webpage for information on how to become a “Call When Needed” vendor. Are you new to providing wildfire suppression equipment? DNR is offering two Operator Safety Trainings for non-VIPR resources. All non-VIPR resources can sign up to be in a source list for Emergency Equipment Rental Agreements (EERA). This provides a statewide database of preseason vendor information to be used in combination with VIPR resources on DNR incidents. RSVP for the class through the contact below. March 19 and 22 at 9 a.m.
March 22 and 27 at 9 a.m.
Fire Suppression Resource Availability Agreements, commonly referred to as ”Call When Needed” Agreements, are preseason agreements used to support or engage in wildland firefighting. These agreements serve as an organized way to show DNR what private resources are available for hire within a specific geographic area or for their service specialty. DNR uses these preseason agreements to establish a pool of qualified, trained, and available vendors who can provide equipment and services in a timely fashion, upon request. For people who want to learn how to provide resources for wildland fire suppression and what all it entails, go to the Provide Equipment and Services for Fire Suppression page on DNR’s website. Brent Steinhart understands fire danger – he’s a volunteer with Spokane County Fire District 4. So when he looked at the dense forest surrounding his home, he knew he had to act quickly to reduce his vulnerability to a wildfire. Steinhart and his wife, Corey, worked with a Washington State Department of Natural Resources forester in the spring of 2017 to identify 1.5 acres of high-risk forest on their land. The Steinharts own 20 acres in the wildland urban interface – areas in our state where human development, such as homes and businesses, meet natural areas, including forests and grasslands. Private residents own a significant amount of forestland in Washington, and problems like bark beetles, drought, and overly dense forests all contribute to a forest health crisis that’s making it easier for severe wildfires to spread. That’s why DNR works with small forest landowners to reduce wildfire risk on their property, including through forest health treatments like thinning and wood chipping. Before and after photos of the Steinharts’ property. The Steinharts, both in their 50s, decided on a do-it-yourself forest thinning project. The area they tackled had tall ponderosa and lodgepole pine, crowded with smaller pine and Douglas fir. To dispose of the excess vegetation and smaller trees, they used some for firewood and chipped the rest. Through this work, they significantly reduced their ladder fuels – the vegetation tall enough to spread flames into the upper crowns of large trees. In all, the project cost DNR $1,260 in incentives. DNR forester Randy Burke said homeowners can save time by hiring a private contractor to do the work, “but many homeowners enjoy their sweat-equity investment on their property.” The project makes the forest healthier, too, because many Eastern Washington forests thrive when they’re less dense. The couple’s work was so successful that they treated 2 more acres, finishing in the fall of 2018, and were planning a third project. “By thinning and allowing those trees to not compete, your forest can be healthier, and it looks really nice when you’re done,” Brent said. Supporting small forest landowners in improving forest health on their property, and in turn reducing the risk of wildfires, is a key part of DNR’s 20-Year Forest Health Strategic Plan, as well as the agency’s Wildland Fire Protection 10-Year Strategic Plan. Brenda and Ryan Nash are taking a similar approach to their wooded property in the Hidden Valley area outside of Cle Elem. The couple moved there in July 2016 from Western Washington, and their 20 acres needed a lot of work to reduce wildfire risk – most of their forest was overgrown. Complicating matters, much of the couple’s property is on a steep slope – so steep that they couldn’t use mechanical thinning or chipping equipment, she said. “It really is all manual work that had to happen – very grueling manual labor up and down this pitch,” she said, adding that a controlled burn might be done later because it would be the most efficient way to reduce dense brush, while allowing the larger trees on her property to thrive. Nash and her husband want to do more than reduce fire risk. They want to restore habitat for elk, and a controlled burn (also called prescribed fire), would open up their forest, increasing elk habitat and regenerating plants that elk eat on the forest floor. The Nashes plan to live in their Central Washington home for the rest of their lives and pass it on to their children. If you live in a wooded area and want to learn more about wildfire preparedness on your property, visit DNR’s Prepare for Wildfire webpage. Fire districts can order personal protective equipment (PPE) at 50% cost. 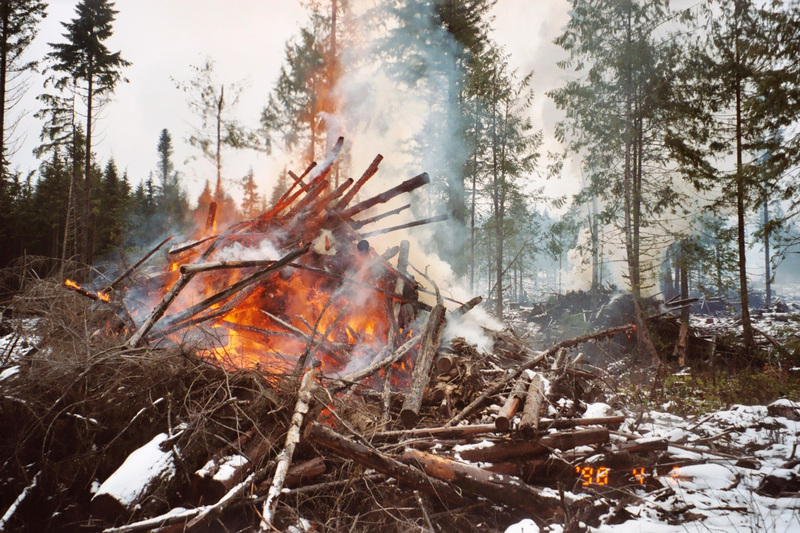 Several factors affect the impact of wildfire in Washington, including the capacity of rural fire districts to respond to wildfires. That’s where DNR’s Fire District Assistance Program can help. We administer grants to help local fire districts and departments obtain more resources. 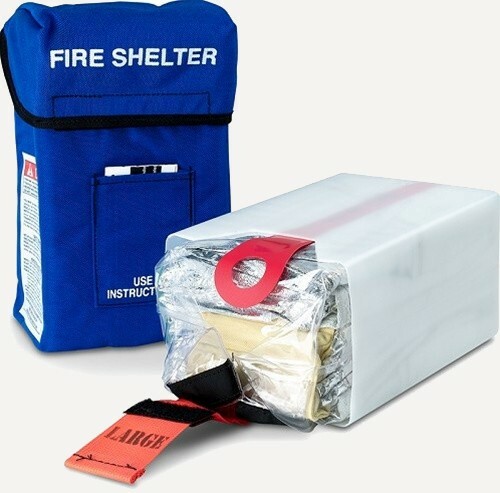 Eligible fire districts and departments can order personal protective equipment (PPE) and other fire equipment at 50 percent cost through the DNR Fire Cache beginning March 8, 2019. USDA Forest Service Volunteer Fire Assistance grant funding pays the other 50 percent. Districts and departments can place orders for reduced cost PPE through an online shopping cart until April 30, 2019 or until grant funding is expended, whichever occurs first. Interested? Learn more at the DNR Fire District Assistance webpage for eligibility requirements and ordering process. Your smart phone can now help clean up Puget Sound. The Washington State Department of Natural Resources (DNR) today announced the launch of MyCoast Washington – a mobile app that allows the public to help identify and remove marine debris. The app allows people to photograph large marine debris, creosote-treated wood, derelict vessels, storm surge damage, king tides and changes to shorelines while walking Washington’s beaches. DNR and its partners will then use that information to prioritize clean-ups and inform management of aquatic lands in a changing climate. DNR is a state leader in restoring marine environments. Since 2002, DNR has removed more than 50 million pounds of marine debris – the equivalent of 72 Boeing 747’s – from Washington’s waterways. Creosote-treated materials leach chemicals into beach and marine sediments causing toxic conditions for organisms that live in and use these areas. As part of that commitment, the agency is asking Washington’s legislature for a $90 million funding package to protect and restore aquatic habitats to boost salmon and orca recovery efforts. This package funds direct implementation of expanded restoration efforts, one of several actions recommended by the Southern Resident Killer Whale Task to boost orca habitat, as well as action items identified by the Puget Sound Partnership and Northwest Indian Fisheries Commission. STEWARDSHIP OF STATE AQUATIC LANDS As steward of 2.6 million acres of public aquatic lands, DNR manages the bedlands under Puget Sound and the coast, many of Washington’s beaches, and natural lakes and navigable rivers. DNR manages these lands to facilitate navigation, commerce, and public access, and to ensure protection of aquatic habitat. Since 2004, DNR has partnered with entities such as Marine Resources Committees (MRC), WSU BeachWatchers, People for Puget Sound, Washington State Parks, The Nature Conservancy, and the Northwest Straits Commission, to identify and remove creosote-treated debris. By planting smaller trees, or by planting larger trees a safe distance away from powerlines, we can prevent problems before they happen. This practice can also reduce or eliminate the need to prune trees, and reduces you chance of a power outage. Since it’s better to be safe (and warm) than sorry, do these three things to show your appreciation for both the twinkle of outdoor holiday lights and the equally lovely trees they rest on. 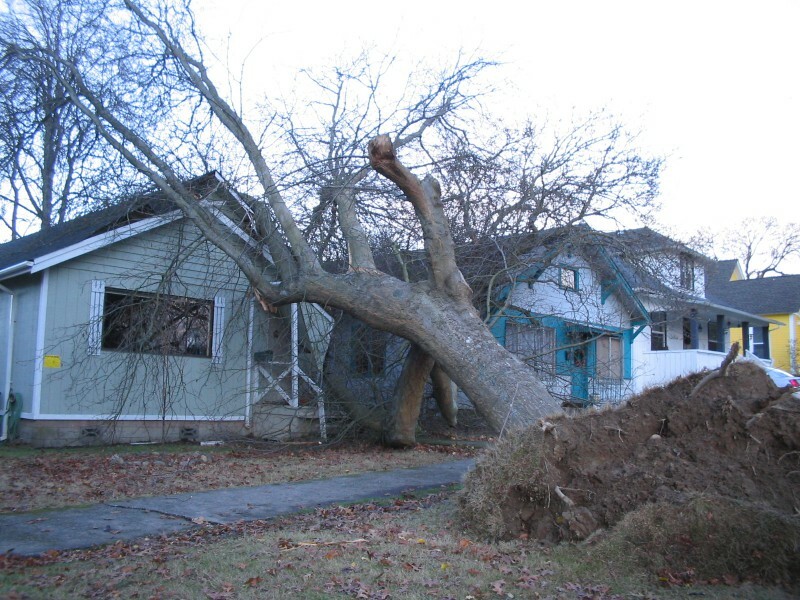 Take a moment to check for tree/powerline conflicts where you live, and contact your local utility if necessary. Plant the right tree in the right place. And, encourage, or congratulate, your utility provider’s participation in the Tree Line USA Program. When Chris Mastel was in the Marines, he had a sense of purpose every day, a clear mission to accomplish. It was something he missed when his time in the military ended. “As soon as I got out – not having a purpose, no mission every day – it was a struggle for me,” said Mastel, who served in the U.S. Marine Corps for eight years. Mastel’s councilor at the local veteran’s center recommended he check out Veterans Community Response, a nonprofit organization based in the Spokane area that helps veterans adjust to life after returning home from combat. Comprised entirely of volunteers, the organization fosters teamwork and camaraderie and helps veterans develop skills in a variety of areas – even in helping rural homeowners reduce wildfire risk on their property. Some members of Veterans Community Response are firefighters in the area so they were aware of the severity of the wildfire threat and saw an opportunity to help reduce that threat. About a year ago, Veterans Community Response contacted the Washington State Department of Natural Resources to find out how they could help. The veterans took wildfire chainsaw training and forest health classes covering tree identification, tree health, and forest thinning practices. They also learned of small forest landowners who needed help with forest restoration work. One of those landowners was Dave Taskila who owns about 6 acres of heavily vegetated forest in the Spokane area, dense with lodge pole pine and ponderosa thickets. “This area had burnt in 1991 – before we bought the land – in a firestorm, so I figured it would happen again,”he said. Taskila knew he should get his house and the surrounding land assessed for wildfire risk and applied to DNR’s cost-sharing program for small-forest landowners. The program is typically a 50/50 cost-share to help landowners complete forest health work on their property. The landowner can hire someone to do the work and DNR will pay half of the fee, or the landowner can do the work themselves and be reimbursed for half the value of their labor. Veterans Community Response volunteers remove brush, low limbs, and smaller trees to restore forest health and reduce wildfire risk in the Four Mound community of Spokane County on May 5, 2018 – National Wildfire Preparedness Day. The nonprofit tackled this project after working on Dave Taskila’s land. This program is a valuable tool for DNR’s 20-Year Forest Health Strategic Plan, which aims to actively manage our forests, restoring them to a more natural and resilient condition. After Taskila was accepted into the program, a forester came to his home, assessed his trees, and showed him what needed done to bring his forest to a healthier, more resilient state. The grant he received required that he finish the work within two years. Taskila didn’t do much the first year, because he didn’t think the project would be that difficult – that is until he and his grandson started thinning trees and clearing brush. What they found was closely bunched trees and dense understory. He was about halfway through the project when he learned volunteers from Veterans Community Response could help him finish his project before the approaching deadline. The project on Taskila’s land was the first forest health and fuels reduction project Veterans Community Response worked on, and it was the ideal site to start with because it was close to town while still being very overgrown. “This property had not been thinned in quite some time and it was a thicket of pine. Nothing was growing in a healthy manner,” the organization’s president, Darrin Coldiron, said. About 20 volunteers worked to thin the remaining 3 acres, with usually about six veterans working each day. The project took about a month to finish. When the veterans finished the project within the timeline allocated by the grant, Taskila was extremely pleased with the work accomplished. “They ended up doing the worst part of the property. Even though it’s flat down there, it was really bad and thick,” he said. Taskila donated his DNR cost-share money to the nonprofit in appreciation of their labor, allowing the organization to pay for more equipment, protective gear, and training, plus member retreats and recruiting. Veterans Community Response is working on six similar forest health projects. It’s the type of collaboration that Commissioner of Public Lands Hilary Franz, who heads DNR, speaks about the state needing. For the veterans, the rewards are close to home. Not only are they giving back to their community in ways that have the power to prevent a devastating wildfire, they’re also able to pass that sense of achievement onto new members. Volunteers take a well-deserved break from thinning and brush removal during a project in the Four Mound area in May. Mastel, the Marine vet, attended a retreat put on by the nonprofit and found that sense of purpose he was searching for after retiring from the military. He decided to join the staff and devote some of his time to helping the organization with events and projects. He was one of the project leads on Taskila’s land and was pleased with the work he and the group accomplished. “I had no idea what we were in for, but when we finished it looked amazing,” Mastel said. And all of this work means all the more when community members like Taskila are so positively affected by the nonprofit’s work and happy with the final result. Brokedown Place. Jumping Jack. Goldfish. Silver Charm. Camp Draper. Evocative? Yes. Unique? Definitely. And just like their unique names, the state-land timber harvests managed by the Washington State Department of Natural Resources get individualized pre-auction assessments. DNR’s primary reason for growing forests on state trust lands is to provide a quality timber harvest opportunity capable of generating funds for public beneficiaries, primarily schools. Timber harvests have generated nearly $900 million for beneficiaries over the past five years. Before a timber harvest is offered for sale, state foresters make a series of assessments. They review data and make site visits asking things like… Where are the streams and wetlands located? What are the potential effects of this harvest on water quality? How will the harvest affect fish and wildlife habitat? Are there nearby slopes that require a geologic assessment? Are there other areas that will require special attention? As DNR foresters make these assessments they commonly find areas that do need special consideration. They use this information to create a set prescriptions, or rules, that a timber harvest company will have to abide by if they submit the winning bid to log the land. It’s at this point that the timber harvest gets its distinctive name, often inspired by the land itself. Ram’s Horn. Ninebark. Summer Breeze. If a harvest has too many special requirements, timber companies will be more hesitant to bid for harvesting rights. This may lead to a lower bid and result in less revenue for schools and public services. This situation could also leave DNR exposed to legal action for failing to meet its legal mandate to generate that revenue. Alternatively, a harvest with too few restrictions could fail to adequately protect public lands and unnecessarily damaging public lands for years to come. That’s why the proposed harvest, including the requirements a timber harvest company will need to meet, are reviewed in a transparent process after the assessment is complete. Proposed harvests go through a public comment process, called SEPA (an abbreviation for the State Environmental Policy Act, which created the procedure), designed to ferret out any site-specific environmental concerns that may have been missed initially. Then, the proposed harvest goes to the Board of Natural Resources, which is comprised of industry and beneficiary stakeholders. The public is invited to attend and provide comments at their public meeting, where the board then decides if the proposed harvest is approved for sale. The process takes time – normally one to two years. Only after these steps, and with full knowledge of all the requirements, do timber harvest companies get the opportunity to bid on a timber harvest. The highest offer — the bid that will generate the highest revenue for the public beneficiaries — wins. So what are the possible prescription restrictions that a harvest company may have to abide by? They run can be anything from stream buffers, to trees that must remain or the mix of trees to replant, to how and when the harvest should be done. Timber harvests can be restricted to the drier summer months in areas where runoff may be a special concern. Alternately, colder areas at higher altitudes may benefit from a winter harvest, when the ground is frozen or protected by a layer of snow. Based on the site conditions, DNR may also set the harvesting system that companies can use. Some systems have advantages protecting soil, water, fish, amphibians or wildlife in given situations. Ground-based harvesting systems are typically used on state trust lands with less extreme terrain, on soils not easily compacted and in areas with good road access. Look for them in flat areas and on slopes of less than 35 percent in Western Washington and less than 50 percent in Eastern Washington. These operations may be combined with rubber tire skidders, tracked skidders or shovels to achieve desired protection objectives. Rubber tire skidders are used to push or pull logs distances of up to 700 feet in Western Washington and 1,300 feet in Eastern Washington. They can disturb and compact soils, so use is generally limited to non-sensitive areas. Tracked skidders, or “dozers,” perform many different jobs on a logging site. They can pull large loads of logs, operate on moderate slopes and work in softer soils with less compaction. Shovels are a versatile piece of equipment that put less pressure on the ground than skidders. You may see these operated around riparian areas, trees not being harvested, and across uneven surfaces with stumps, boulders and heavy brush. Shovels can also be used for site preparation, road construction and installing culverts. A fully mechanized harvesting system is another option that compacts the ground less than skidders. This system performs the entire harvest process, such as cutting, forwarding and bucking. Cable systems partially or completely suspend logs moving them to landing zones up to 1,000 feet away. Because cable systems require special crews, they’re more expensive and are generally only required when ground-based systems can’t be used. Look for them on state trust lands with slopes greater than 35 percent, areas with broken topography, or wet or easily compacted soils. Helicopter logging may be the only option in areas where road construction would be too expensive or would adversely affect an environmentally sensitive feature. Look for it on slopes steeper than 40 percent, though it’s not common, because it’s so expensive. Regardless of the system, state land harvests require harvesters to work where they will disturb less soil, which can cause erosion and soil compaction while making it harder for trees to re-establish. To ensure this happens, DNR has timber harvest companies plan their skid trails in advance and mark the approved areas clearly. Prior to a harvest being completed, DNR silviculturists make a plan to replant the working forest, accounting for myriad factors, including elevation, aspect and seed zone. The silviculturists start with information gathered during DNR foresters’ environmental assessments before the timber harvest, and account for any adverse conditions at the site, such as the presence of laminated root rot or pests like the spruce weevil. Then, silviculturists focus in on the details of the site. Generally, sites below 2,000 feet in elevation are more fertile than higher-elevation sites, so the planted seedlings will face competition from other plant species. Using information from reforesting similar sites, silviculturists decide whether a site preparation treatment will be necessary. The treatments control competition from both native and invasive species, giving the seedlings a better chance to establish themselves. At higher elevations, those treatments are less likely to be necessary. Depending on the site’s aspect (which direction the slope faces), different trees may be more likely to thrive. Another important factor in replanting is using seedlings from the same tree zone as the harvest. Knowing the origin of a seed is crucial to determining where the tree will survive and grow successfully because of different environmental and climate differences. Native conifers in the Pacific Northwest have some of the highest levels of genetic variation found in plants. After preparing the site after the harvest, foresters come in the next spring and repopulate the forest with seedlings selected specifically for that area. At lower elevations, about 300 Douglas-fir and 100 western red cedars are planted per acre; at higher elevations, about 300 Douglas-fir and 60 western redcedars are used. “When you plant, you control the stocking, what’s growing there and how far apart it’s spaced,” says Cory McDonald, a forester in DNR’s Northwest region. Some other native tree species are also introduced at the time to increase biodiversity, and foresters working at higher elevations also allow for natural repopulation of the forest. Douglas-firs and western redcedars are planted because they have the best return on financial investment to fulfill DNR’s obligation to generate money for its beneficiaries, like public schools and local governments. The minimum amount of trees to replant after a timber harvest on state or private lands in Washington is 190 trees per acre, though most landowners plant far more than that so they have a bigger yield to harvest. DNR has a nursery where it grows many of its trees for replanting from seed, a process that takes two years before trees are ready to be planted. That means foresters need to estimate years ahead what they will need to properly re-establish our working forests. There’s no general rule for knowing when a landscape will be ready to harvest. Different species grow at different rates. Conditions can vary from one hillside to another. Droughts can last have a significant influence. The agency’s general approach, however, is to harvest trees once their growth rate slows, for the best return on the public’s investment. When DNR prepares a harvest auction, it considers the surrounding area, too. Weighing factors include the maturity and size of trees on adjacent land, along with the size of the harvest area itself. Timber harvests are generally limited to 100 acres, though may be up to 120 acres in special situations. They also must border areas where trees have not been recently harvested – either adjacent to 30 percent mature forest, 60 percent young forest or 90 percent newer forest with trees growing there more than 5 years. The result is a landscape with trees of various sizes. The habitat is varied and no single watershed is too heavily affected within a short timeframe. Many state forest lands are also prime areas for recreation. The agency retains a no-harvest buffer around its campgrounds, but with 1,500 miles of trail on DNR-managed lands, it’s inevitable that timber harvests affect trails. When a trail traverses a harvest, it is closed temporarily while the harvest completed to protect public safety. After the harvest, the DNR and volunteers clean up and reopen the trail. Some consider newly harvested areas less attractive than mature forest. As an accommodation, the agency may locate the harvest’s leave trees along trails or roads to provide a visual barrier. However, timber harvests can also provide an unexpected benefit: enhanced views. Not every landscape is appropriate for timber harvests. In addition to potentially unstable slopes, DNR also will not harvest at the state’s most precious ecological areas as a part of the natural areas program. In addition, uncommon habitats such as talus fields, caves, cliffs, oak woodlands, areas bald of vegetation, mineral springs and large mature (“old growth”) forests are excluded from harvest areas. Areas are also excluded when they provide important habitat for endangered or threatened plant or animal species, such as the spotted owl or marbled murrelet. All told, approximately one-third of the state lands managed by DNR are not harvested for timber. DNR is a founding member of the Logger Safety Initiative, which promotes occupational safety in the logging industry. Logging is historically one of Washington’s most hazardous industries — one where workers, particularly in non-mechanized logging jobs, suffer serious injuries much more often than in any other major industry while employers struggle to afford accelerating workers’ compensation insurance costs. In response, DNR, private land owners, logging industry employers and the Department of Labor & Industries formed the Washington State Logger Safety Initiative. The agency continues as an active landowner member of this broad-based effort to promote occupational safety, reduce fatalities, and decrease the frequency and severity of workplace injuries in the logging industry. DNR also works to include companies logging on state lands as participating members. DNR has also achieved multiple sustainable landowner certifications. Certified forests are grown to an approved set of standards, which demonstrate environmentally responsible, socially beneficial and economically viable management practices that promote responsible forestry. The agency aims to exceed best management practices, and it goes through a rigorous third-party audit of its practices every two years to identify any areas in need of improvement. These certifications are good for harvest companies, too. Timber harvested from state lands can able to demand higher prices in the marketplace due to its FSC or SFI sustainable certification status. This, in turn, means harvest companies are willing to bid more, providing greater revenue to schools and other beneficiaries. Case-by-case assessments and care are a big part of how DNR ensures both economically viable and environmentally sound timber harvests on DNR-managed state trust lands. Doing so protects waterways, fish, wildlife, public resources, recreation and the forest’s ability to continue growing timber (a sustainable source of revenue) for public beneficiaries in perpetuity. The one-of-a-kind names? Well, that part’s mostly just for fun. But the thing is, you don’t have to daydream about it – because you can go there. Tucked away in our Tahoma State Forest awaits three huts and a yurt dotting a trail system. And it’s only a two hour drive from the Greater Seattle Area.